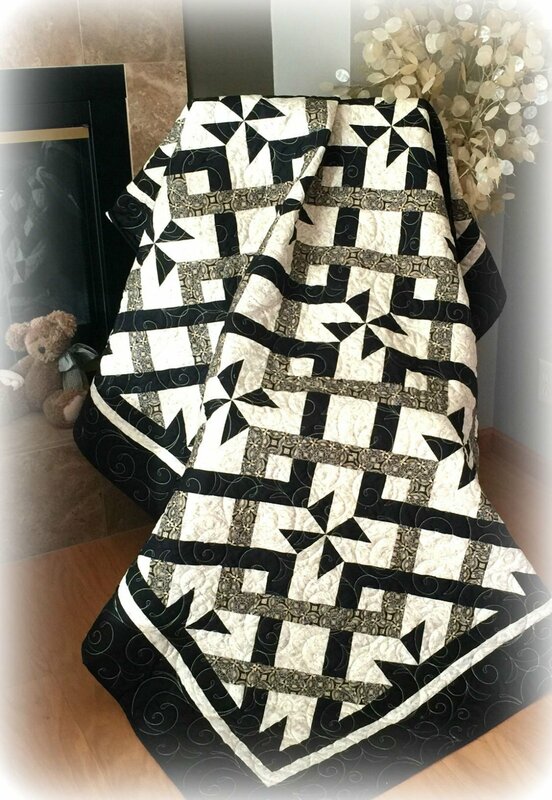 This quilt is not difficult. It just looks that way. The instructions are very thorough and easy to understand. It looks like the squares intertwine with each other. The pinwheels can be added or omitted. There are tons of different color possibilities. I invite you to share your creations with me. This is a paper pattern that will be mailed to you.